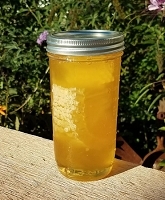 Get 7 jars of raw honey in 6 oz. jars! I really enjoyed these mini honey jars! This gave me the opportunity to sample some of the different flavors of raw honey available. The quality was great and the jars arrived very neatly (and tightly) wrapped. One of my faves was the bamboo honey. Think I will get this in a bigger size. I will continue to order from you guys and will refer you to anyone looking for REAL bee products. Thanks! 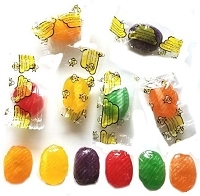 My family and I never realized how different honey could taste until we tried this variety pack! My kids are die hard fans, now and they request it on everything from their morning cereal to having plain spoonfuls! We plan on trying more in the future! I have enjoyed trying the variety of natural honey for the price to help assist with allergies. Halfway thru now...it is all good. We purchased this for a honey tasting we were hosting. Everything arrived safely, quickly, and it was a big hit! I like to try new things, and this honey variety is a good option to do it, and chose your favorite for further purchase. It is going to be a gift for my daughter. What a delight! It's hard to pick my favorite honey from this sampler. Will definitely purchase again in the future. I raise bees but I like to purchase the different flavors basically to play with. I loved the product and the service was great. I have never ordered from this company before but I am likely to do so again. Will be giving as a gift, also bought some for ourselves. Awesome! good sampling of variety of honeys. Thought this would help me decide which one I like best but they're all very tasty. Will definitely purchase again. I liked being able to sample 7 different varieties of honey before purchasing a larger quantity. This fit the fill perfectly. It was a little pricey but it was worth getting the chance to try so many different types of honey. Great way to sample the distinct and wonderful flavors of the different honeys offered. Buckwheat and Star Thistle are our favorites. All these flavors have a unique taste and they are all great! Great product! 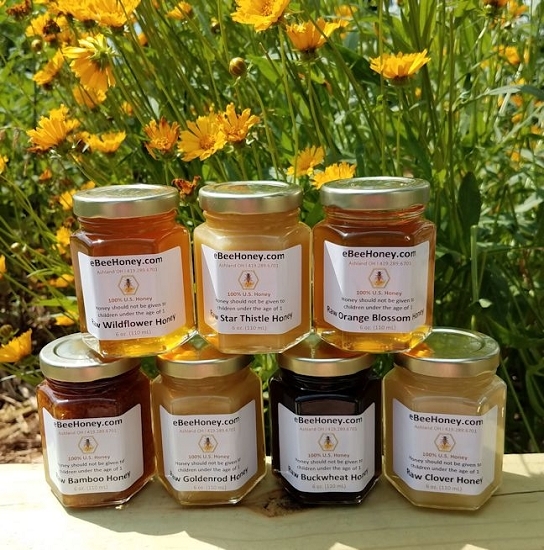 So many lovely honeys to choose from, each delicious. Nice variety pack. Will definitely be ordering more honey from you. really enjoyed sampling all the different honey varieties. Will be purchasing full sized jars in the future. Thank you! Bought this as a Valentine's Day present for my husband. He just loves different flavored honeys for his tea. Absolutely delicious! 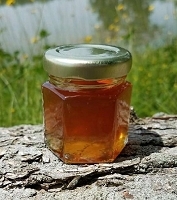 I am very pleased with the honey that I received and my friends who tasted it raved about the honey. Just one negative... I live about 20 minutes from Ashland, Ohio. The shipping cost almost as much as the honey. I would have rather drove out to pick it up. I will probably not purchase any more of your product due to the shipping cost. How about letting people know how to pick up the honey? This was a excellent cost effective way of trying out all the different varieties of honey you sell. Thank you! My family and I really enjoyed tasting and finding our favorites. Superb collection. My first introductions to Star Thistle and Bamboo ... absolutely delightful!!! Highly recommend for a family variety pack or a gift that will be remembered by anyone who appreciates raw, really excellent honey. Simply couldn'd be happier with this honey variety pack. An awesome value for the quality and quantity. As amature beekepers, we wanted to expand our palates. This sampler was perfect! Staff were helpful and super friendly. The shipment arrived expedetiously. 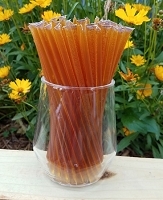 What a woderful way to taste such a variety of honey!! Nice selection of different honeys. We are actually going to use them to allow students to conduct a taste test of differing types. Should be a lot of fun. A nice and easy way to obtain such a great selection. I highly recommend this variety pack to anyone curious about different varieties in the flavors of honey. I have found some new favorites and some not so favorites. Wither way, a great purchase. The honey selection was amazing and a perfect giveaway gift for a afternoon tea party! All the girls loved! The shipping was very fast. 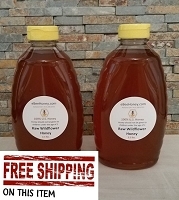 Will buy more from ebeehoney.com in the future! Awesome way to sample all the amazing flavored honies. I wasn't familiar with a lot of the different flavors of honey, this is the best way to sample all the flavors. 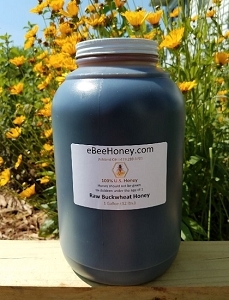 All these honeys are great I love the ideal of getting raw natural honey I love all the flavors especially the bamboo and buckwheat! ! Health is very important to me, and this is healthy eating at its best! Enjoying the honey very much. The bamboo honey is very nice. tried the variety pack...loved all of them...shipping was fast...ordering more.. They're webpage, while attractive and very informative, doesn't do these honeys justice. Each honey is wonderfully (and pretty darned accurately) described with it's own paragraph, but once I tasted the actual honey I found an unexpected "emotional" side to its characteristic. These honeys, especially the orange blossom for me, bring back memories of childhood when I didn't worry about using artificial sweeteners because they're faster or less caloric. Using honey has helped me lose 22 lbs. in the last 3 weeks! If you're asking, and reading this review constitutes justification of that assumption, not buying this honey variety pack is depriving yourself of a very special treat. The best honey I have ever had. Will order again, real soon. I'd recommend this to anyone who hasn't tried a variety of honeys, and ask them to read the descriptions so they're prepared for the different flavors they'll be treated to. Raw honey is the best, and these are all special. I ordered this variety pack for my parents for a gift but it looked so yummy that my husband and I tried a couple ahead of time. The goldenrod honey spread on a warm biscuit is divine! The star thistle has a warm flavor kind of like creme brulee. Great value. It's great to try all the different flavors out there. I didn't prefer some as they were crystallized but I really like the orange blossom, wildflower, clover, and the buckwheat. I decided to add the ones that are crystallized to my coffee. This variety pack is fantastic! My family and I love sampling the different varieties of honey. Will definitely be ordering our favorites again. Thanks for an amazing product & super fast shipping. In the late 70's I discovered the many different varieties/flavors of honey. This sampler has some of my favorites, actually they are all favorites! The package arrived in great shape and timely. This is 2nd time used this company and pleased. I really liked being able to try all the different varieties of honey before making a purchase of larger quantities. I never knew there were so many different kinds of honey. There is a variation in taste, so this helped me decide on my favorites to purchase more of. 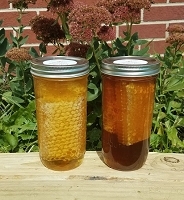 I ordered these honeys for favors for my daughter's wedding. THey were so good that we ordered another set so we could have one of each for ourselves. I love the taste and quality of the honey. It is excellent! For anyone who has never had raw honey, or who might not realize how different types of honey can be, I highly recommend this pack, I was surprised at how drastic the different honey flavors were, while all still having a characteristic honey-ness underneath. great little sampler pack glad I bought 2 for friends n family that wanted to try.